Owning a condominium is more than just a real estate investment. When you choose to own a condo unit, you are also choosing to devote yourself to the condominium community that it is a part of. Perhaps the biggest challenge when obtaining condominium ownership is being able to maintain the balance between living in peace in a shared community and enforcing the regulations that are found in the condo bylaws. Most condominium owners purchase a unit to have the opportunity to enjoy living in the condo while still being able to sell it in the future to make a fair market dollar whenever they find fit. However, condominiums have certain rules and bylaws. These bylaws are essentially a framework for the directors of the condominium community to manage, administer, maintain, and control the property of the condominium community while enforcing the rules in a fair and reasonable manner to the residents. In most cases, condominium bylaws are often tightly enforced, ignored, or challenged by the unit owners and board members. Not being on the same page with these bylaws can create an inequality that is usually difficult to correct, however it impacts all owners and can oftentimes affect the value of the property. 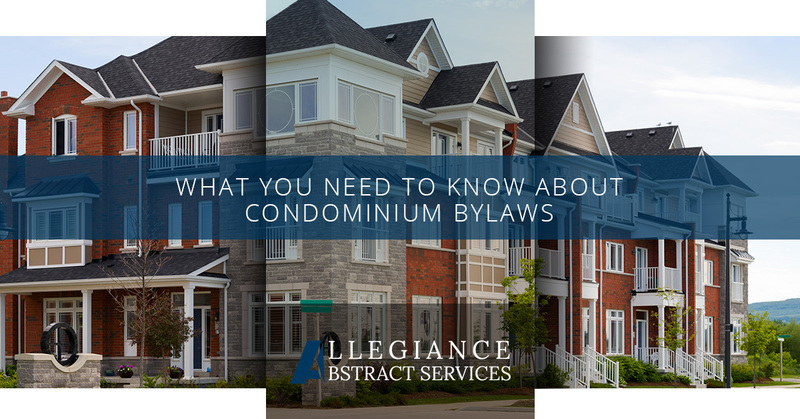 It is important to understand these bylaws, and to help you, we are going to briefly review the bylaws for owners of condo units, the condominium corporation, and condominium property management company. If you are an individual owner of a condominium unit, it is extremely vital to understand the fact that the bylaws of a condominium corporation are agreements that are between the corporation and each unit owner. This is to the same extent as if each had signed each section of the corporation’s bylaws. This means that when owners purchase a condo unit, they are agreeing to live in conformity with the created bylaws. Additionally, the corporation is also agreeing to operate in accordance with the set rules. It is important for unit owners and purchasers to be aware of the duties, obligations, and restrictions on ownership that are included in the bylaws. It is also important for the board of the property to inform all owners of the units of the expectations and administering of the rules and to ensure that those rules are enforced equally and fairly on all residents, owners, and renters within the condominium community. A corporation approves residents to have pets as long as they adhere to the restrictions in the bylaws. A unit owner applies for a dog — even though this owner has a history of making late payments and has questioned the cost of the units. The dog seeking approval meets the requirements that other dogs on the property have received approval for. In this scenario, it would be an act of improper conduct to deny the owner the right to have a dog, especially when other residents were granted approval if they met the set guidelines. However, if the dog was to become a problem, the board then may have the ability to enforce the bylaw to remove the dog to the same degree that the bylaw is applied to any unit owner. Equally, the opposite is also important. Owners who use bylaws as a tool to evade fellow unit owners or board officials is just as much of an act of improper conduct. 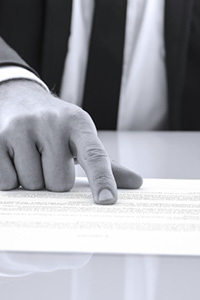 Property management companies play a pretty important role in bylaws. It is essential to have a fully licensed property management company available to assist with any disputes that arise. 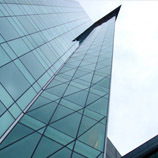 Ultimately, the property management company or representative serves as a mediator and fair-minded party in case disputes between the board and the owners need to be resolved. However, they are capable of being an even bigger resource, too. In addition to serving as an intermediary, a licensed and experienced property management company will be able to suggest any modifications to the current rules and bylaws, and they can even suggest new laws that may be beneficial to all parties involved. Property management companies can be considered as an unbiased advisor that is there to settle any disagreements and keep things civil. Believe it or not, the balance between enforcing rules and living in harmony in a shared community is in the middle. The bylaws are created to allow the condo corporation to have the necessary resources needed to fix a problem or a dispute that could end up negatively affecting the condominium owners as well as the property’s overall value. In the end, this could end up influencing a potential buyer’s purchasing decision. Whether you are a condominium owner or board member, fighting or ignoring bylaws can cause an imbalance. Bylaws are often used to control or restrict an owner unreasonably and is often the reason owners become resistant. For the best results, there should be a clearly communicated policy on bylaw enforcement, like a process for an appeal, can go a long way towards creating an honest and fair condominium community. Knowing, understanding, and respecting is an important step in purchasing a condominium unit. 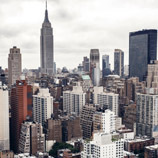 If you need assistance with condominium bylaws, advice, or if you are in need of help with title insurance in New York, contact Allegiance Abstract Services. Whatever title services you need, like a municipal search or corporation search, we can help.